Whole Body Cryotherapy is a cold healing procedure and has been proven to have a positive effect on the physical and mental wellbeing because cryotherapy stimulates and increases endorphins in the body. When the body is exposed to extremely cold temperatures, it begins to increase endorphins. To ensure proper collagen production, the cells need vitamins, minerals and healthy vascular function. During cryotherapy, blood vessels respond by a quick constriction to keep the core temperature and protect the organs and tissues and a rapid dilation when we are back to normal exterior temperature. By widening the vascular system, blood circulates better. It can eliminate waste and toxins more efficiently and allow the distribution of vitamins and nutrients. Receiving the ingredients they need, the cells are back to work and boost collagen production. The theory is that cold temperatures force your body to work harder to stay warm, burning calories in the process. Due to the freezing cold nitrogen vapor, your brain triggers your body’s survival mode. This results in the secretion of adrenaline and an increase in blood and oxygen to your skins surface, causing a boost in immunity, rapid cell renewal and an increase in metabolism. As your body is tricked into thinking it’s beginning to freeze, it will start breaking down that stubborn brown fat in order to raise your core temperature. Using a large amount of energy like this to heat up the body is what burns those pesky calories. Cryotherapy can help with muscle pain, as well as some joint and muscle disorders, such as arthritis. It may also promote faster healing of athletic injuries. Doctors have long recommended using ice packs on injured and painful muscles. Doing so may increase blood circulation after the ice pack is removed, promoting healing and pain relief. 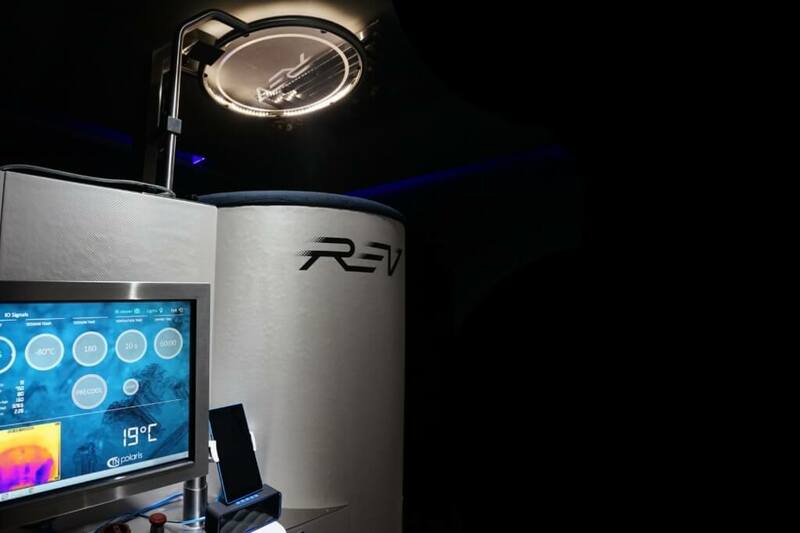 Full-body Cryotherapy, or deep-freezing yourself in a reverse sauna chilled by liquid nitrogen, is the latest anti-aging therapy to hit the beauty scene. During the procedure, liquid nitrogen is sprayed on the body skin to cool the skin surface and temperature, which causes immediate vasoconstriction (or tightening) of the vessels. Cold therapy works wonders for speeding up healing. When you apply ice to swollen muscles, the cold constricts blood vessels and reduces blood flow to the area, and pain, swelling, and inflammation decrease. 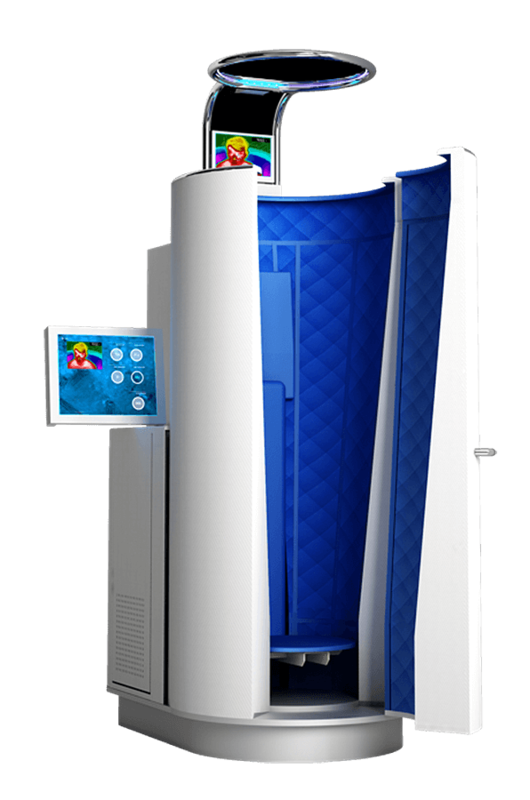 The original idea behind WHOLE BODY CRYOTHERAPY was similar: expose the body to cold to reduce inflammation. The duration is just 3 mins per treatment. Used for eczema, dermatitis, psoriasis and other inflammatory skin conditions. Liquid Oxygen comes into clinical use by Irving & Turnacliff. Dr.Irving S.Cooper develops a modern cryosurgical apparatus, which increases the interest in cryosurgery. Cryogen is introduced into clinical practice by Dr.Ray Allington. Dr. Yamauchi builds the first Whole Body Cryotherapy Unit to treat patients with Rheumatoid Arthritis for pain and inflammation. to gain the same benefits as above! *Limited time offer. Appointment on 1st come 1st served. Purchase valid within 1 year. Our expert will supervise your treatment from start to finish in a private and comfortable environment. To get the full effect, you must wear minimal clothing, covering only your hands in a glove along with your undergarments. When you walk into the cryo-cabin, liquid nitrogen is released, chilling the cabin. You will see a cool mist floating out of the chamber. Once you step outside, you will feel the difference instantly. The treatment is 3 minutes per session and can be done daily. "I highly recommend cryo to my friends because most of my friends are playing sport and i feel that if you're a sportsman, your muscle will tend when you play a lot of sport, so yeah, come for cryotherapy." "A top notch gym with the 1st cryotherapy in M'sia! Great vibe, friendly & professional trainers who can also give nutritional & physiotherapy advises! The cryotherapy has reduced my inflammation problems & definitely worth a try!" "I stumbled upon this amazing team when I was renovating my house and I still can't believe it. They helped me with everything I asked for and moreI had knee surgery 7 weeks ago. Had 5 sessions since last week and the swelling on my knee has reduced significantly! Plus, the specialists at REV are friendly and professional. Highly recommend to everyone! Can't wait for my next session!" "More than an ordinary fitness center, with well trained trainers and advanced bio-mechanic myoMotion Assessment to help in identifying the root cause of chronic aches on certain muscles on my body. Thanks for helping me in realigning my body back to a stronger physical health." "Great fitness centre with friendly trainers, intense workout program, nutritional advises and also gym with the 1st cryotherapy in M'sia. I'm working out for almost 1.5 month and has done about 15 sessions and I see good results. It's definitely worth the try. Money isn't the problem if you invest in yourself." What are you waiting for? Let's join the movement! International Celebs love it too! Before the session starts, you are require to fill up the Consent Form and blood pressure will be measured. Then, the therapist will guide you to change yourself into minimise clothes. Each session is last for 3 minutes with the different level of temperature [range from -80C to -160C]. After the session, most of our client felt energised, rejuvenated, refreshed, lesser soreness on body, lighter on whole body and good mood. Of course, everyone is different. Come and try out to see how it changes you and your body! Q: How often can I have a cryotherapy session? You can have a cryo session everyday. It is fine to do it everyday if you're a heavy training person or an elite athletic. Best to have a consultation before starting any session. Below is the suggested frequency to see the result. After 1 cryo session you will begin to see reduction in pain and inflamed muscles while feeling energised and ready to take on the day. After 3 sessions, your recovery rate will be greatly improved. After 7 sessions you will experience a full system reset - each session is an environmental stress that give your body a workout. After 10 sessions, you will have burned up to 8000 calories! After 20 sessions, your circulation will be greatly improved slowing down the aging process! *Every individual has different result. Kindly seek for consultation before starting any cryo session. Q: How will i feel after a cryotherapy session? Each person will have a different experience and feel differently. From pain reduction and relief of muscle soreness to increased energy levels and sleeping better. The more sessions of cryo experienced, the better and more successful the benefits. AMAZING benefits in 3 minutes! DISCLAIMER | Results may vary. Results are based on individual circumstances. Timeframes for results are not guaranteed.